You may have read this already in the article Earning money with energy saving, it can be worthwhile to walk around in your house and search for your energy consumers in the house. A large energy consumer in a modern household is often the personal computer. It becomes even worse when the computer is 24 hours on, this is typical the case with a server. When selecting the components of my server two years ago I picked them based on capacity and features, never on energy usage. After some energy usage measurements I found that the server continuous consumes 250 Watt. This results in an annual power usage of 250 Watt x 24 hours x 365 days = 2190 kWh. It is clear, there is a lot to gain with equipment which is 24 hours on. 2190 kWh x 0,20 € (price of electricity in 2006, the Netherlands) = 438 € x 3 years (average life time PC) = 1314 €! It is clear there is a lot to gain by reducing the power consumption of my server. The plan is to reduce the power consumption as much as possible, while keeping the same functionality. 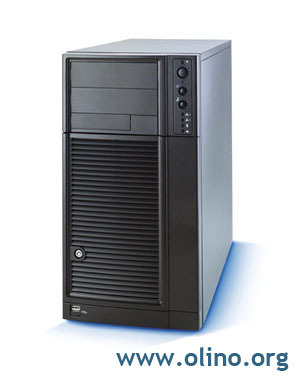 To prevent confusion with the new server, the server which I am going to re-build will be called the “old server”. The processor of the old server is a very fast Intel Intel Xeon 2.8 GHz. This processor is overkill for the application of this server. Most of the time the server is running idle but still consumes a lot of power. The average power usage is between 120 – 160 Watt. A real energy waste. The result: the processor gets very hot and needs a lot of cooling (again using more energy for this). After al lot of searching on the internet, I have finally found a good successor: the AMD Geode NX 1500 processor. 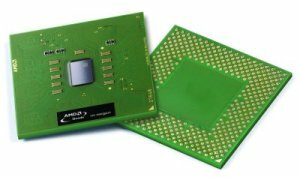 In comparison with the Intel Xeon processor the AMD Geode NX 1500 processor uses very little power, only 6W. This processor can be cooled fanless, so it will operate very quiet. The 600 Watt power supply of the old server is really overkill. Especially when we start using the new low power processor. An other problem is that most old power supplies have a very low effiency. It is not uncommon to have a power supply with a efficiency of only 60%. A small calculation shows how much energy is lost. Our server used 250 Watt of continuous power x 0,4 = 100 Watt of energy lost! Efficiency is very important when selecting the new power supply. 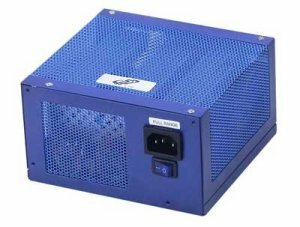 After some investigation on the internet I have found the following very efficient power supply: Fortron/Source Powersupply (FSP) Zen 300W Fanless, Active PowerFactor Control of 99 % and an efficiency of more than 89%. 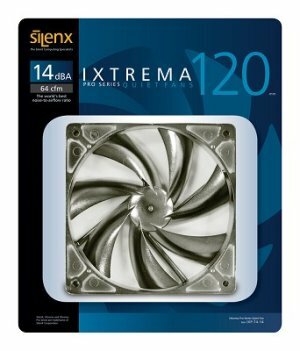 This fan is big (120 mm) and runs slow (1500 rpm). The result: the fan is quiet (14 dB) and low power (1.2 Watt). In the next article “Building a low power consuming server (2)” I will tell more problems encounter finding the right motherboard, the non-standard connectors of Intel case en the saving which I have made on power consumption. I liked all of your suggestions except that I had only one problem with them. Where can I find these parts? I can find spec sheets but no physical parts. Are they made from unobtainium?